Skin Conductance sensor for palm or finger. Heart Rate Variability Sensor applied via a single finger or an armband with disposable electrode. 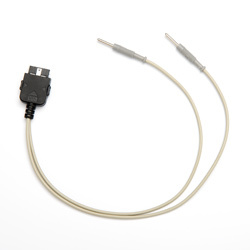 EMG Cable set for 2 channels for use with 73201 EMG Module. Migrane sensor applied to head area via headband. Used with the Model 73200 Multi Parameter Module. Breathing belts for respiration Biofeedback Module model 73202. This is a multi-sensor which can be easily attached to a single finger. The sensor includes Skin Conductivity, Pulse, Temperature, and Movement. Measurement of muscle tension for incontinence training. Electrode for measurement of muscle tension in incontinence training. 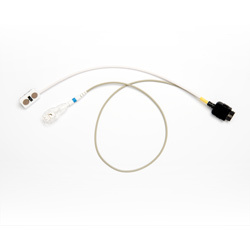 Connector cable for EMG Module to Vaginal and Rectal electrodes. 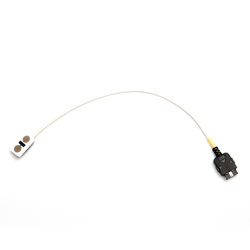 High pick up microphone for Voice Record, model 73104. 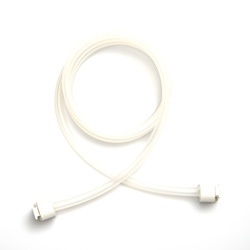 Disposable electrodes formulated for EMG Biofeedback. Sold in packs of 50 electrodes.